Excellworld Holidays, among the well known Tour and travel companies based in Nagpur, offers Passport & Visa Service to clients. 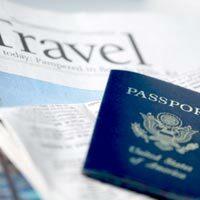 For clients who are keen on visiting foreign locations can contact us for Passport & Visa Services. We guide them through the processes involved in applying for a tourist Visa & passport. We have expertise in dealing with all matter related to travel, clients can rely on us to provide them with excellent services. We offer prompt services to clients & guide them through the whole process right from filling out the application, getting the documents, submitting proofs, etc.